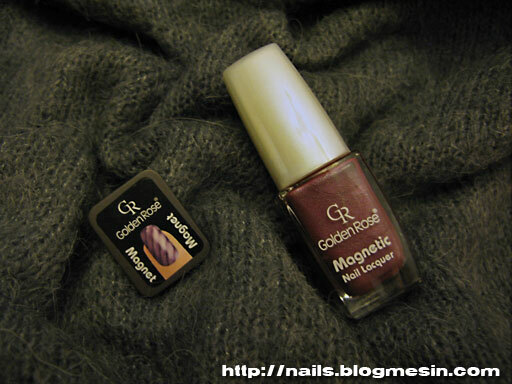 Yesterday I got a bottle of my first Magnetic Nail Polish. I am so happy! It’s Golden Rose Magnetic Nail Lacquer number 5. It’s kind of pinkish purple colour. 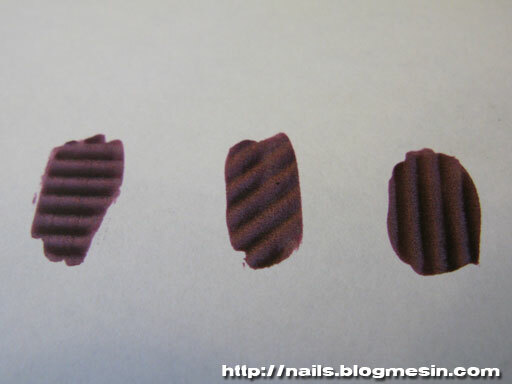 It came in set with small magnet which you use to create stripes on your nails. All you need to do is paint your nails and when the polish is still wet hold the magnet over a nail at a short distance for couple of seconds. This is how my nails look after painting. You can turn magnet and get a different direction of the stripes. This gives more possibilities for getting fun designs. I think that this polish is really nice. Easy to apply. It dryes fast. It also shines nicely so you don’t need to put any top coats. I have it on my nails for a whole day and it doesn’t chip at all. As I said this is my first magnetic nail polish, but I remember that there was similar polish from Loreal, just with a difference, that you could make splash patterns instead of stripes. Did you ever tried it?